The 737 was the first airliner to surpass 10,000 orders and, if you stacked those 10,000 airliners on top of each other, the pile would be 77 miles tall. That’s the same as 280 Empire State Buildings or 382 Eiffel Towers. Those 10,000 737s could carry 1.5 million passengers. As of August 3 of this year, 14,086 737s have been ordered, and 4,427 await delivery. Boeing’s closest competitor, Airbus, has received 12,411 orders for its A320 family of airliners, with roughly half of those in service. The rest await delivery. On average, there are 2,000 737s in the air at any one time, with about 24,000 scheduled flights per day. That equates to one 737 landing or taking off somewhere in the world every two seconds. All told, 737s have racked up more than 119 billion flying miles, or about 640 trips to the Sun and back. 737s have also carried more than 16.8 billion passengers, which is equivalent to every man, woman and child in the world taking two flights. The 737 has come a long way since its humble beginnings 50 years ago, and the type has been constantly upgraded and stretched throughout its history. 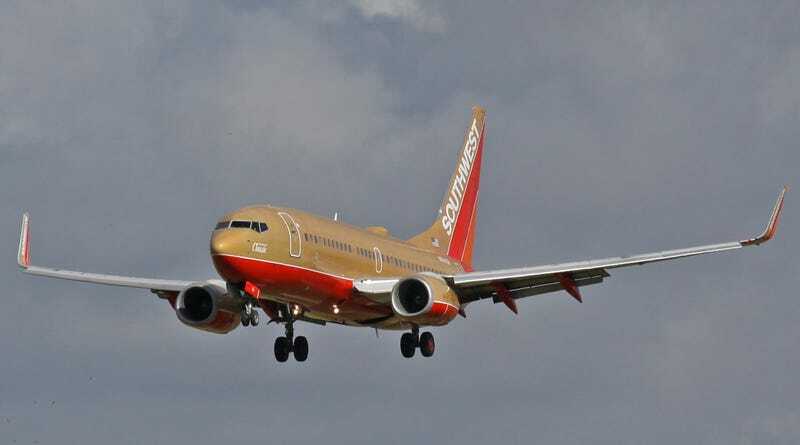 The latest version, the 737 MAX, took its maiden flight on January 29, 2016. Though competition from Airbus is fierce, the 737 is certain to continue amassing more records in the years to come.